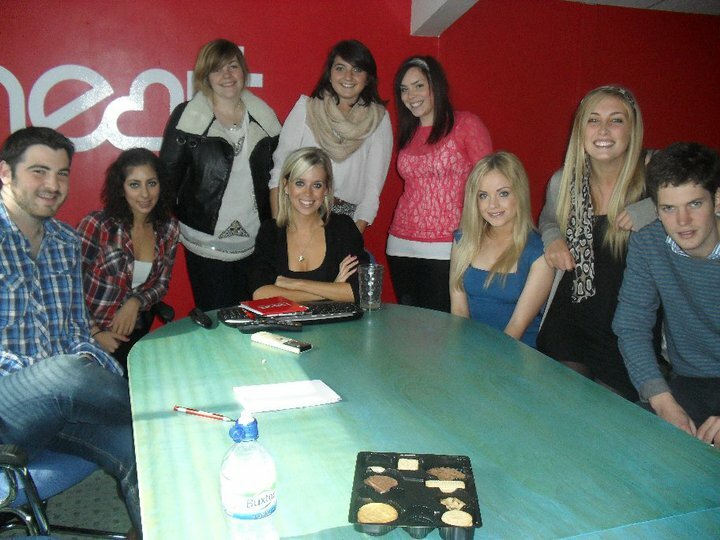 The presenters of Heart FM gave a group of budding journalists some insiders advice during a trip to the station on Tuesday. Heart FM is part of the Global network based in Leicester Square, and has LBC, Gold, XFM and Choice radio as part of their family of 18.5 million listeners a week. Heart’s vision is to be lead in commercial radio, fighting the BBC to achieve the status of best national and local station. The station took a while to find its fight and tried to appeal to a vast market. However, they feared they would end up like Woolworths, offering too much at the expense of quality. So they made their own niche in the market, and now mainly appeal to women aged between 25 and mid forties. Parents are core of who they are broadcasting to. Presenter Tim Humphries said he listens to what Mum’s at the school gates are interested in when he picks up his children from school, in particular a lady named Annie. He believes that the key to sticking within these boundaries is by asking himself ‘would Annie care?’, when delivering a story. He pointed out that most Mum’s within the target range or more likely to chat about local issues and showbiz than the war in Iraq, for example. In contrast, the target range is likely to be interested in the Chile minors story as it captures people on a personal level. Therefore, it is important to talk to your target using accessible language. Ask yourself ‘would I talk like this in the pub with friends?’, and if the answer is no change your wording. Whilst the target range is clear, Heart is careful not to alienate men and children. If the music is bad, children will insist on their parents changing channels whilst driving to school. Likewise with men, if the convocation is drole, they will insist on tuning out. Heart believes that it’s important not to stereotype women within the target range by constantly focusing on being a housewife and mother. Head of news, Charlie O’Brien said that when Cheryl Cole got malaria it was the leading story, as it would be what women would chat to their friends about. When writing the bulletin script make the news snippets easily digestible. It is a snapshot of what’s going on in the world today. “The audience wants reassurance that the world is still the same as when they last tuned in”. You won’t encounter disasters if you prepare yourself well. Tim said that in his many years at the station he’s never had a disaster thanks to good preparation. Read anything out loud. Get used to hearing yourself and create your own style. Many budding journalists try to emulate others – don’t do this. Don’t be afraid to change the bulletin slightly so it suits your voice. As with everything these days, Heart uses social networking such as Facebook and Twitter to help with stories. The Heart website provides full interviews to shorter stories aired on the radio previously. 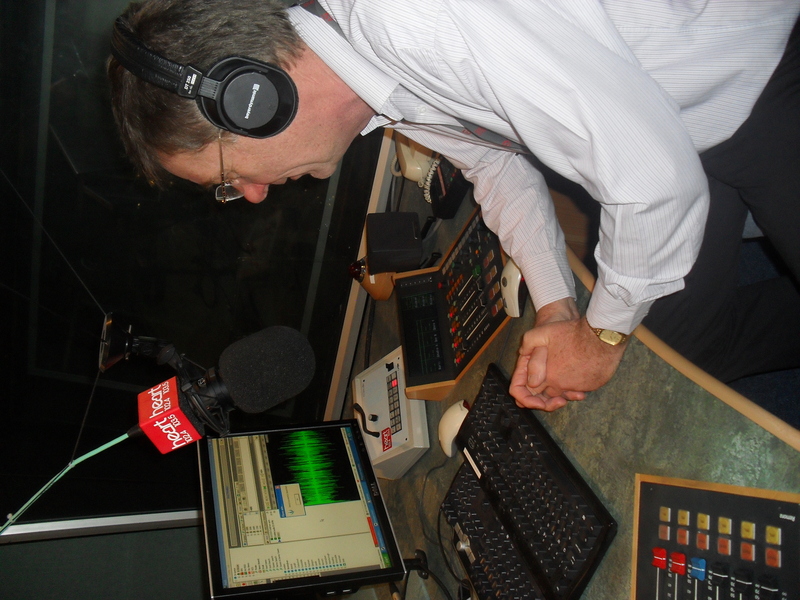 “The great thing about radio is you research the story, do the interviews, edit them and read them out – you get to own the story and bulletin”. “If you are good enough you will get work”.